For the die-hard jailbreakers out there, you can jailbreak the newly released iOS 4.3.5 using the same redsn0w 0.9.8b3 version that worked for 4.3.4. As before, the big caveat here is that it’s a tethered jailbreak, meaning it must be reconnected to a computer anytime you want to reboot the iOS device or if it runs out of battery. You need to download both versions of the iOS firmware for your iPhone, iPad, or iPod touch (iPad 2 is not supported), and you’ll want to point redsn0w at the older 4.3.4 firmware. The rest of the procedure is the same as always, just follow the onscreen instructions to put the iOS device into DFU mode, then boot tethered, and you’ll be jailbroken as expected. Personally, I don’t like tethered jailbreaks, but for many users they don’t mind the tethered boot process since it is fairly rare that an iPhone ever turns off, and this is for you. Really? I undid the jailbreak on my phone after a few weeks, since it crash (requiring a restart) more times in those few weeks than the 3 years I’ve been using the platform. I have the redsnow jailbreak on my iphone4 4.3.5 and it works great, however, since I am away from home and my computer A LOT, I have decided to restore my phone. When I do this I get error code 3194. Any idea what I need to do? Try putting it in recovery mode like you’re about to jailbreak it. Hold power 5 secs, then both for 10 secs, then home for 15 secs. Then try to jailbreak it. Have only had my iphone 3gs for 31 days…upgraded to ios 5 on itunes; then had this wonderful idea (sarcastic) to jailbreak my phone so that I could lock some of my folders…I have a three year old that plays on my phone. Tried several times, finally got Cydia to work properly, had researched BossPrefs and found that you could lock folders, downloaded it, iphone rebooted and now is frozen in recovery mode. Attempted to restore to factory settings through iTunes but get the message that phone needs to be taken out of recovery mode and error message 3194. So I thought I would try to jailbreak again, using the same redsn0w, and when it started running, it said no firmware was detected…error…and giving up. Really wish I had just left the dang phone alone. So, if anyone is able to give me some detailed advice, in laymen terms, I would really appreciate it. Right now I am downloading ios 5 to my desktop in hopes that I can re-add it to my phone. So nice to hear a simple accurate solution. Worked perfectly! Thanks my friend! hey Buddy!!! did u fix your Iphone already, cuz i have the same problem, i wanna get iOS 5 on my Iphone 4 but i cannot update and even restore cuz appear the same error 3194.. if u got it could u help me!! thanks! Help!! my iphone is jailbreak from redsnow, trying to update to ios5. it says error 3194 and i tried to restore it setting it to DFU mode. now its showing only apple logo and itunes cant detect. what should i do?? hey belinda try holding the power button and the home button in different sequences until your computer makes a sound that it has recognized an new usb device in dfu mode your iphone/itouch screen should appear black. How long can your iPod stay off if you have a tethered jailbreak?? I’m increasingly less interested in jail breaking since reading more about iOS 5, I know that is Apple’s intention and I am fine with that. The main reason I used to was for Wi Fi hotspotting but then they offered it natively, now the only reason I would still want to use this is for 3G unrestrictor, but I suspect carriers will wake up and let FaceTime over (4G LTE more likely) soon anyway. hav u tried the wonders of bitesms and installous? Yes but it won’t work without a tethered boot. you say yea but then you tell him hes gonna need a tethered boot. Meaning he needs a computer. So to answer his question, No you cannot do it WITHOUT having a computer. You need a computer, and not any computer… one with the jailbreak stuff on it. Yes what you say is absolutely correct, thank you for the clarification. The phone will technically turn on without redsn0w, it will just be unusable without the tethered boot. My Iphone is dead now:( It doesn’t get further than showing the Apple sign. Can somebody please help me? Thanks!! A long as it just shoes the apple logo take it to a store and they’ll exchange it under warranty. i got the same problem too last two days but now i ve solve it already. first u need to connect your phone to your computer then hold the sleep and home button for 20sec. Then u will see the recovery sign (cable connect to itunes), then press “restore” on your itune. you need to re jailbreak your phone and boot tethered. start your pc with jailbreak software, plug your phone in and put it in dfu mode. to do this there are a couple easy steps. 1, hold down power button for 5 seconds. 2, while still holding power button hold down home button for 10 seconds. 3, release the power button but keep holding home button for 15 seconds. if you followed steps correctly your screen should be black and your device in dfu mode. now run redsn0w ands select “just boot tethered right now” this should get you up and running. and remember, you ALWAYS HAVE TO DO THIS TO START YOUR PHONE. 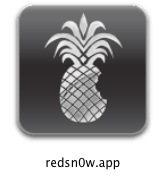 if you used redsn0w then all you have to do is click extras instead of the jailbreak button. then click “boot from tether.” this will boot your ipod. I’ve tried this tethered jailbreak, but it don’t do much good (even if it does work). because the post wanted u to upgrade first to 4.3.5 (IF NOT YET UPGRADED) before doing the jailbreak. Entiendes? to answer ur questiion what it does is its tricks redsnow into thinking that its 4.3.4 when yoyur actually on 4.3.5 and so it basically flashes the fw therefore recognising the fw. why the dev team have done it like thati dunno, i just learnt that is how it is. it makes sense when you thikn about it having to trick the software into thinking its an older version. I had the 4.3.1 jailbroken and it died last night, i tried turning it back on this morning and it just got stuck on the apple logo, after about 5 hrs of trying to reboot it I had to restore it to the 4.3.5 and lost everything. Whats the risk of a tethered jailbreak vs a non tethered?I know you have to hook it to a computer to turn it on, but do you have to rejailbreak it after? Thanx. so now? 4.3.5 can jailbreak already or not? i just jailbroke my ipod touch 4g and each time i try to open cydia, it instantly crashes. what do i do? i have an ipod 4th generation, it was 4.3.5 firmware before i jailbroke it, now it accidentally shut off one day and i have very few options of what to do. I can turn it on to the apple logo or put it into recovery mode. I have tried to put it into dfu with every combination of buttons, but it just wont work. Also when i try to restore it with a downloaded ipsw i get error 21 lol used to get 3194 until i removed and backed up the hosts file. i have the same problem what program does unlock it? When Redsn0w asks for the IPSW you must load the 4.3.4 regardless that a 4.3.5 is installed in the iDevice. Then the process runs correctly. run redsn0w 0.9.8.b4 and firmeare 4.3.4 on yur upgraded iphone 4.3.5 first install only cydia then run the application again and this time run “just boot in tethered” it will works and plz avoid to reboot your iphone. if it hapens then connect to the computer and again run”just boot in tethered”. I have not been able to jailbreak my phone. I had 4.3.4, tried to jailbreak. Lost everything – including ability to make calls. It won’t load a carrier list, wont do anything. When I restore it then sticks on apple logo for ever. when i got this for my 32 gig 4g ipod touch it wouldnt allow me to install instalous with cydia and i couldnt access my settings can anybody tell me what i did wrong? can you download installous from red snow? I just wanted to say thanks to all the people out there who lends advice to all the noobs that are present in this world. Can I download the untethered version after I download this one and don’t lose data? I have iPhone 4 with 4.3.5 firmware. I want downgrade it with 4.3.3 but in restoring it checked with apple and giving error 1943. So my question is what if I try to jail break it with 4.3.3 without downgrading firmware. The iPhone has to be updated to 4.3.5 already, then you point the newest version of Redsn0w at the 4.3.4 firmware and then jailbreak with that. Noob here, I have Redsn0w 0.9.8.b4, ipad1 with 4.3.5 installed and 4.3.4 ipsw availible. after following instructions and the jaibreaking starts, the installation remains at exploiting with limera1n. Hi, updated 3gs to 4.3.5 and did the above. my phone goes white when an unexpected error occurs while rebooting first time. same problem as you, any solution TOr? Is it possible to untethered jeailbreak for iOS 4.3.5…. ?or how many dayes to to wait for untethered jeailbreak…..? please help me.. What to do with the ios 4.3.5 if i have already in my ipod 4g ? ..
Hey guys i have a problem with my itouch 4g. My uncle just jailbroke it with redsnow tethered jail break for version 4.3.5. My itouch was on iOS 4.2.1 and then my uncle jailbroke it to 4.3.5. So my question is that is it possible for me to downgrade it back to 4.2.1? Because i cant put cracked apps for my device. Please help :(! I have done all above with Redsnow, Installing Cydia. boot tethered. Go to cycia> recources> repo666.ultran0w.com > install> boot tethered. After this signal stays at one stripe and no network finding. Any ideas? 2 bad i can’t phone. congrats your fone has been locked :) by da way wus da baseband ?? u need to use gevey or rebel sim in any case. Same problem here, signal stays at 1 stripe and no network detected. What do you mean that the iphone has been locked? I am using BASE sim card. is there any site to get the jailbreak free??? Not one comment of a succesfull jailbreak on this page. It doesnt work does it? Now I’m waiting on the iphone 5 and a new jailbreak for my ipad. Umm well my iPod ussually turns of for no reason what can I do about that? hello everybody , i have iphone 3gs with 4.3.5 . i used redsn0w 9.8b7 for jail breaking . it worked but when jailbreaking finished cydia icon is white color and it doesn’t work? It doesn’t work period. The new jailbreak is ready. They’re just waiting so the exploit doesn’t get wasted on idiots like me that had to update. Would i be able to downgrade to 4.3.3 (to use jailbreakme 3.0)using the same method as this tethered jb? I mean after i do this jailbreak? can anyone teach me how the whole step to jail break my iphone , my iphone is version 4.3.5 . I have the same problem, did you get some solution??? WHAT IF I JAILBREAK AND I DONT LIKE IT AND DECIDE TO RESTORE WILL THE TETHERD BOOT PROCESS GO AWAY ??? i pressed the power button to turn it on and it worked. After I re jailbreak, I can’t find installous on screen after install it. How to solve this problem? ok so i did everything right.. I have JB a bunch of iphones. but its hanging on the pinapple its a 3gs 4.3.5 any ideas? I’ve downloaded reds0w and the two apple update files, but on redsn0w it says to choose the CURRENT firmware, (and my current firmware is ios 4.3.5) while on here it says to choose 4.3.3. which one should I choose? now run redsn0w ands select “just boot tethered right now” this should get you up and running. and remember, you ALWAYS HAVE TO DO THIS TO START YOUR PHONE. Hey guys I have an iphone 3gs running on 4.3.5 I used redsnow to jail break it. Now, is there a way to unlock my iphone using CYDIA? or could a downgrade it to a lower firm ware so I can unlock it? Thanks! so is there a way to get a shsh blobs? and how long will I have to wait so that I can unlock my iphone 3gs? when the ios 5 Comes out? also is it possible to down grade it to 4.3.3? im new to jailbreaking and i heard that red snow is pretty good all my friends used it so i wanted to try it. when i downloaded red snow and i opened it it said to find some firmware. i really dont know how to find that on my mac can anyone help?? I jailbroke my iphone 4 tethered with redsn0w. Then booted “tethered right now” It seemed to work for about 24 hrs. then I powered off my device and it would not “boot tethered right now”. After some panic I tried a restore with iTunes trying both DFU and recovery mode. Still no joy. 3194 error….doing the host file trick does NOT work. Newer versions generally have more features and resolve past bugs, its recommended to use the newest. i’ve got an iphone 4 running on ios 4.3.5 (i never upgraded it . it came with 4.3.5) and i want to jailbreak it Unthetered so should i downgrade it if yes then how or hsould i wait for ios 5 or anything else please help ? I used redsn0w on my 3gs for ios 5. the jailbreaking seems to go fine, as well as the seperate tethering, but after the pineapple comes up (for a while) it shows the apple and then goes into recovery mode. How do I get it to work? -I followed this and it worked without any problems! would this wipe out all your cydia memory? i’ve got an iphone 4 running on ios 4.3.5 and i have thetered jailbreak it. but i want unthetered jailbreak and also want to unlock my iphone so i can use different network sim. please guys help me out. i m desperate, i bought my iphone in july and i couldnt use it in india as it need to be unlocked. i have an ipod toch 2g runnig on ios 4.1. my pc had a problem in august and all my files were deleted. now i don’t know what to reinstall on my pc because my ipod isn’t recognized. Hello everyone, i have an ipod 4th generation, it was 4.3.5 firmware before i jailbroke it, now it accidentally shut off one day and i have very few options of what to do. I can turn it on to the apple logo or put it into recovery mode. I have tried to put it into dfu with every combination of buttons, but it just wont work. Also when i try to restore it with a downloaded ipsw i get error 21 lol used to get 3194 until i removed and backed up the hosts file. i have jailbroken my ipod touch 4g and have installed installous,but when i restart my ipod i dont get the home screen.only it shows the apple sign and it doesnt go the home screen. what should i do??? My iPhone 4.3.1 not jailbroken and then a month later as I was going to make a international call it got stuck and now all I see is the apple logo on it. When the phone got jailbroken I was told to never turn it off because I would have to jailbreak it all over again. So what can I do now? Is this happening because I have not upgraded it to IPhone 4.3.5? HEELPPP! !My iPhone 4.3.1GOT jailbroken LAST MONTH and then NOW as I was going to make a international call it got stuck and now all I see is the apple logo on it AND OFF. When the phone got jailbroken I was told to never turn it off because I would have to jailbreak it all over again. So what can I do now? Is this happening because I havEN’T upgraded it to IPhone 4.3.5? i downloaded an app or something that allowed me to change themes quickly on my iphone. it had some htc theme already on it. i chose this theme and it worked for a while and then froze i turned off my phone then tried to boot my tethered device on redsnow and it works for a few secends then goes back to a blank screen. HELP. i tried restoring on two computers but i get error code 3194. i also tried changing the hosts file but no luck. i dont care about losing anything i just want my phone to work please help im 12 years old. Hi, I am facing similar problem. I tried to Jailbreak ( redsn0w0.9.9b1) my IPhone (4.3.5) – and my phone hanged (black screen with apple logo only). When trying to recover through itunes, I keep getting error code 3194. Please help! Happened to find a solution! Go to redsn0w->extras->recovery fix. i stay in INDIA.i m about to get an iphone 4 from the U.S.A of AT&T server. can anyone tell me that if i jailbreak it in INDIA will it work with what eva GSM i use here???? Hi – Anyone please let me know if we have 4.3.5 untethered Jailbreak code released? 3gs ios 5.0 was successfully unlocked but the screen has gone black and will not turn on. i have tried the tethered reboot with redsn0w but is gets stuck at waiting for reboot. anyone know how to fix this? Use the Recovery Fix in Redsn0w. Also you are on iOS 5, this article is about iOS 4.3.5, so make sure you use the newest redsn0w, you can find it in our search. All you experts out there, I jailbroke my iPhone 4 (iOS 4.3.5) with Redsn0w and then realize that the process upgraded the firmware to 04.10.01, which made it hard to unlock. Any hopes to unlock still? I have a question. I just bought a 16 Gb version of iphone 4 running iOS 4.3.5. The phone has been unlocked using Gevey Sim (I think!). Its the unlock method where u say accept on the first screen then dial 112 then wait a couple of seconds then turn airplane mode on and off. (I think thats Gevey sim card). Anyways, i bought the iphone 4 the applications i would get on cydia, but now im stuck with the appstore. I don’t want tethered upgrade. So, can i downgrade 4.3.5 to 4.3.3 (Without blobs or whatever, like i said, i just bought it), and will it affect the Gevey turbo sim? If anyone has a Verified method of downgrading 4.3.5 to 4.3.3, please tell me. How long can your iPod be off until you can boot tethered?? im jailbroken my iphone and tried to get cydia with my computer to get my phone service to work with my iphone ; my wifi didnt work so thats why i did it with my computer ; now i want to restore my iphone and rejailbreak to get my wifi back working is that possible ? will my iphone mess up? i have an ipod 3g , i had a hard time upgrading the firmware last time i tried , i am still with version 3.2 or something like that and it is a jailbroken one . Can i upgrade the ipod with the jailbroking on or do i have to unjail. before and how to not loose apps and videos i had such tough time gather? And last but not least what is theeasiest way to upgrade firmware ? hi… i am having i phone 4 locked version from calfornia to india.. i does jailbreak n worked for quit long tim..
now i phon is locked not getting to factory restore also..
i have iphone 5, want to jailbreak…is it possible and you guys used this…please send me link and how is working…..